During just the last two weeks of November and the beginning of December, it was possible to bear witness to an extraordinary transformation to the way the US President views Pakistan’s role in several significant (both past as well as current) events in world politics. On 19 November during the interview with the TV channel Fox News, whose main points were later publicized via Twitter, Donald Trump voiced some criticism towards the Pakistani leadership, which reflected Washington’s long-established negative stance towards this nation. 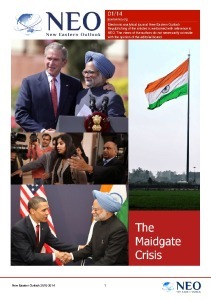 This position, in turn, was an inevitable consequence of the overall US policy course aimed at improving relations with India in attempts to transform it into the key Asian counterweight to the rapidly growing China. At the same time, it also became necessary to sacrifice the somewhat friendly relations with Islamabad. It is worth noting that during the entire duration of the Cold War, Pakistan served as a buttress of US policies in the region of South and Central Asia. One of the key aspects of these policies was antagonism towards that very same India, which had a close relationship with the USSR at that time. On 19 November, Donald Trump did not say anything new in comparison to what he had already stated almost one year earlier. He still used the same language about “concealing” Osama bin Laden (“who could have been dealt with much earlier”), and about Islamabad’s ineffective use of US aid to combat “terrorism”. On the same day, Pakistan’s Prime Minister Imran Khan published a tweet on his account, which reminded Mr. Trump of the fact that, firstly, “No Pakistani was involved in 9/11”, and, secondly, “Pakistan suffered 75,000 casualties in this war & over $123 bn was lost to economy” after it had voluntarily joined the US War on Terror in Afghanistan. In comparison, continued Imran Khan, the “US ”aid“ was a miniscule $20 bn”. The Pakistani Prime Minister also did not miss an opportunity to remind the US that, having deployed 140,000 NATO troops, 250,000 Afghan soldiers and spent $1 billion, they only made the Taliban stronger. However, at the beginning of December already, Imran Khan announced that he had received a letter from the US President during a meeting with journalists. According to the Pakistani Prime Minister, this message appealed for Pakistani support in the Afghan peace process and the withdrawal of US military forces from this country after a 17-year presence there. To be more precise, the message requested Pakistan to “encourage” the Taliban leadership to begin “a dialogue with the United States”. It is safe to assume that this dialogue will be about the way the military conflict in Afghanistan will end. Imran Khan stated the reaction towards this letter from the American President was mainly positive, and said it had been handed over to the Ministry of Foreign Affairs so that an official reply could be prepared. One staff member of the Ministry believes it is reasonable to assume that the reply will broach many other topics besides the Afghan issue, and may include a suggestion to re-establish the bilateral strategic dialogue, and also improve trade and economic ties between the USA and Pakistan. 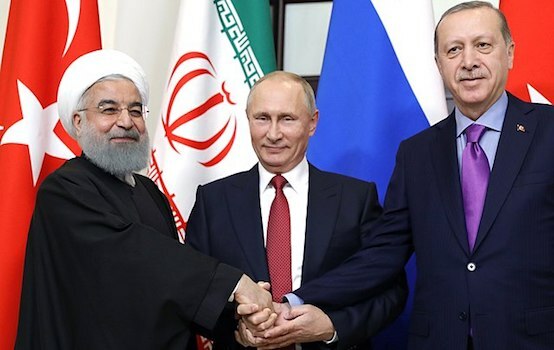 This puts an end to the fairly limited account about the contents of written communication between the leaders of the two nations, which has caused a flurry of reports by the global media outlets. Let us again return to our discussion of the Afghan issue and the US role in resolving it, in the context of the intensifying political game taking place in the region of South and Central Asia. This part of the world, in turn, is becoming an integral part of a broader area, in terms of geography and politics, which, as of recent, has been referred to as the Indian and Pacific Ocean region. The New Eastern Outlook previously reported that even the former US Administration viewed the Afghan problem as a source of consternation for the United States. It was Barrack Obama’s administration that decreased the US military presence in Afghanistan substantially and put forward the idea of completely stopping the armed conflict there. But on terms that would allow the world power to more or less “save face”. And despite all of his public anti-Obama rhetoric, Donald Trump is, in fact, continuing the work of his predecessor on this very painful for the US issue. The problem does not actually lie in the fact that there is a lack of communication with the Taliban, which has been ongoing for some time (even if unofficially). This, by the way, is more of a rule rather than an exception in any war, while soldiers in trenches are continuing to kill each other, somewhere, in “neutral territory”, gentlemen in civilian (or traditional) clothing converse on the topic of “ending this chaos”. How difficult it must be for the super power to hear this? Why did the US waste more than a trillion dollars and engage NATO allies for no reason? What will happen to the Kabul government, and overall, to the power structure created by using “all the democratic means”? Since the United States has refused to leave Afghanistan unconditionally, the Taliban has completely ignored such international initiatives, established at the beginning of 2016, as the Quadrilateral Coordination Group, consisting of representatives from the USA, China, Pakistan and recognized Kabul. After only a few meetings of this group, the absence of Taliban representatives at the negotiation table showed the futility of its further efforts. The Taliban also chose not to participate in the joint session of the Ministers of Foreign Affairs from China, Pakistan and Afghanistan, which took place in Beijing in 2017. Although the document, approved by the end of the meeting, mentioned the Taliban as an essential party to any future resolution of the conflict in the nation, which Afghans themselves should be responsible for. The almost first international event that a delegation from the Taliban attended was the Regional Consultations on Afghanistan in Moscow, which was held on 9 November under the auspices of Russia’s Ministry of Foreign Affairs. This, by the way, is an indisputable feat of the Russian Federation’s overall foreign policy, and more specifically of its diplomatic part. Hence, Moscow could, surely, share its experience with Washington of involving the Taliban in formal negotiations. But nowadays, the US-Russian relations look particularly bad and, considering the troublesome domestic situation in the USA, it was easier for Donald Trump to approach Pakistan with a similar request. Still, it is not possible to rule out that, in this particular case, Washington was not motivated by the desire to resolve (a truly painful) Afghan problem, but instead by the wider issue of the current state of the global game of politics. Possibly, the main aim of the US administration’s move towards Pakistan is the desire to slow this nation’s shift towards China, which re-started (after a short break and thinking time) once the new leadership, headed by Imran Khan, came to power. This unpleasant for the US development, to no small degree, stemmed from the breakthrough nature of the results of the last stage in a multi-year process of bringing the United States and India closer together. However, for the USA to even partially re-establish its influence in Pakistan, the strategy (if it even exists) to develop relations between Washington with New Delhi and Islamabad will need to be optimally balanced. It will need to take into account Pakistan’s current problems, with practically one key issue being the almost empty coffers of the national treasury. 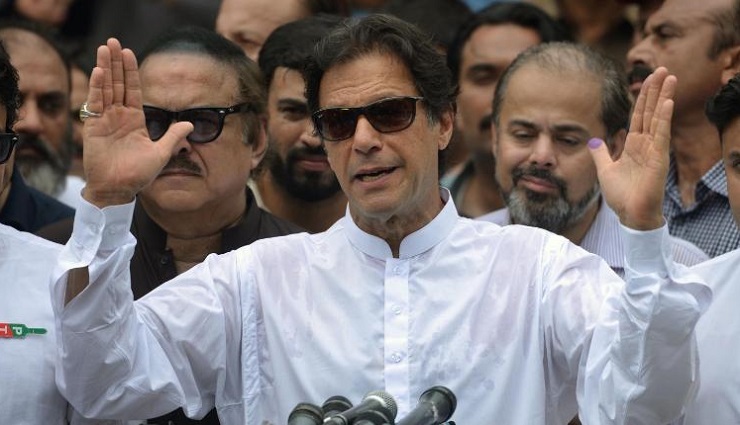 In turn, for Imran Khan’s government the hypothetical shift of the US policy towards Pakistan offers it certain opportunities to maneuver within the triangle that the geo-political heavyweights, such as the USA, China and India, have established. These include the possibility of continuing (the so far unsuccessful) attempts to lower tensions in its relations with New Delhi. Overall, developments (if they materialize) in connection with the written communication between the US President and the Pakistani Prime Minister are worth paying further attention to.